World Map Poster Malaysia series – Print, or just laminate your old Malaysia map posters. 36 inches maximum. Start your poster printing business! World Map Poster (Malaysia) – What is world map poster printing service, how much to print Malaysia map poster in HD, and where to buy this large Malaysia map poster at our shop. 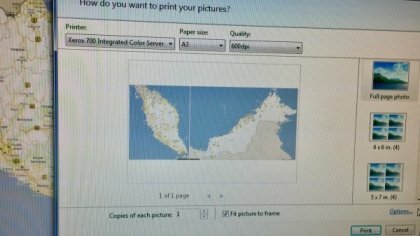 This section is about quick overview of the Malaysia map poster printing store. 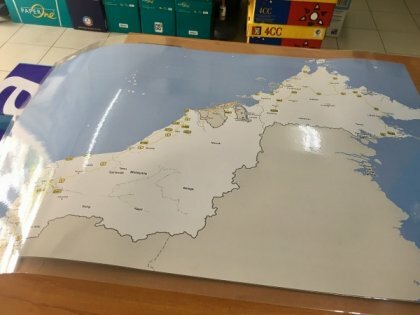 For the first world map poster printing service at our digital printing store, we will introduce the first finished product which is Malaysia map for sale. 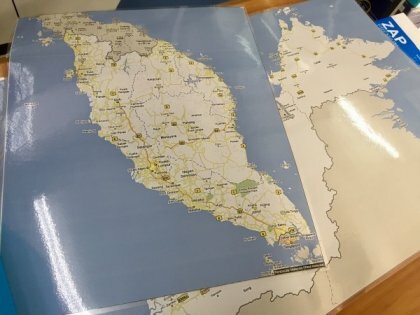 We can print for you a vintage Malaysia map upon request. Upload your own poster to print, or get me to source for you. Or if your file is not big enough, don’t worry just send it to me and I will do editing and touch up for you to enlarge the map size on our printers. Sini memang boleh buat peta-peta besar Malaysia lama dan baru, siap dengan laminate A1 A0 saiz. Yes, even if you shop a poster from posterific, or Sunway pyramid poster shop, just bring over here and we do an awesome laminate job for you. 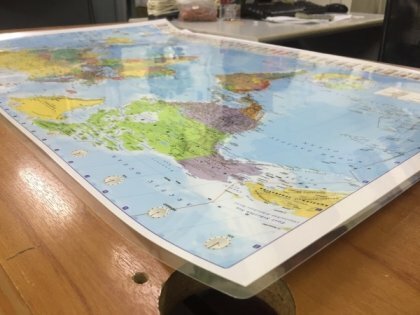 No UV nonsense that the market try to sell you, laminate is the best finishing service to protect your Malaysia world map poster. Don’t believe? Just see the posters on our shop window under rain and sunshine. We provide GIS map scanning, and large format scanning for your world maps or vintage maps. Reproduce it at anytime by printing it at any digital printing shop in KL or Malaysia. 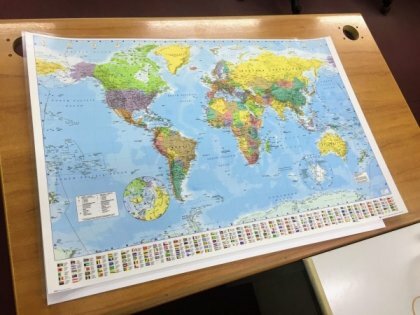 If you want to print a map for kids, those colourful world maps antique version, or just about any map poster, just do it at the Digital Printing Shop at Damansara Utama Uptown and Kuala Lumpur. Don’t shy (Jangan Segan-segan), sila masuk kedai！ Just find us and we will try our best! Even if its enlarging the map to HD high resolution file to print A0 A1 size, just get me to help you on that. Sekian, terima kasih. For Enlarge Your Low Resolution File, find Vincent.